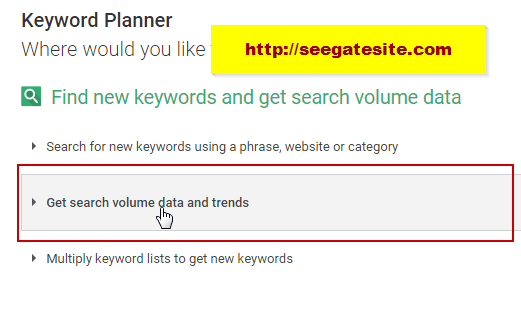 Programming Tutorials – seegatesite will share one of the best SEO techniques to increase traffic to website using search query optimization techniques. SEO techniques has no limits, day by day progress SEO to boost SERP in search engines in order to increase of website traffic fast is getting unique and diverse. 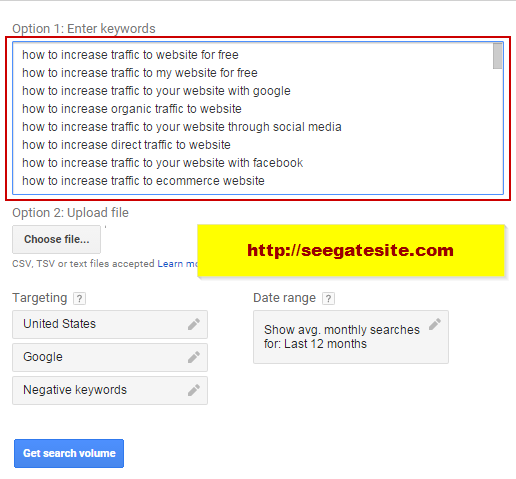 How to increase traffic to website free, I got from reputable Indonesia’s SEO forum ,ads.id. The essence of this SEO technique is that we do research queries from our website using a free tool and make the articles related to the query that has dominated our blog. If you ask how to increase website traffic through Google ? search query optimization can be the right choice. Lets start how to increase traffic to website fast with Search Query Optimization. Note: This technique will work well if you already have a number of articles (at least 50 article). #1. The first step ,we throw the feed first to create 50-100 article on your site. If you already have hundreds of articles on your blog, just skip this step. #2. Register or login to https: //www.google.com/webmasters/tools/. Webmaster tool is a free service from Google that is provided to the webmaster. Basically, webmaster tool has many benefits for Blogger, one of them for SEO optimization for faster indexed search engine. Registering to Webmaster tool site is one of the steps to maximize your Blog Performance. At the webmaster tool you can monitor search engine robots interaction with your site. If a new site , wait a few days until your blog has been indexed by Google’s robot. I will explain a fairly important part of the information on google webmaster tool to be used as reference data associated with search query dominated by our blog. 1. Please login to google webmaster tools account. Please Checked Clicks and Position option. Then change date range , Set Date Range > Custom (Set the last 2 days), then click the “Filter”. a. Queries, is a word or group of words used for the search criteria google search engine. b.Impression, is a number that shows your blog articles found in the search results according to the query that is used. e. Avg. Position (Average position), is information about the average order of position title of the article you found on the search results page, the smaller the value Avg. position means your article very good position in the search results. Then Select Copy all to get all keyword. #5. Increase traffic to website with Creating quality content. Create articles with keyword research results of the query page, don’t forget put the internal link of old articles that provide search query. Hopefully this tutorial useful for you. Not all SEO techniques can be applied to our website, to increase traffic to website need perseverance and focus.